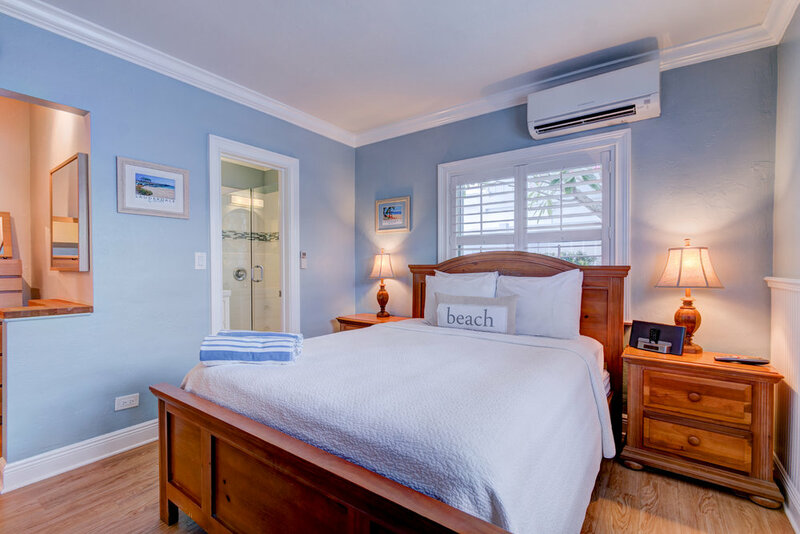 The one bedroom Beach House Suite features a full living room with a queen size sleeper Murphy bed, plush sofa with a chaise lounge and a flat screen TV. 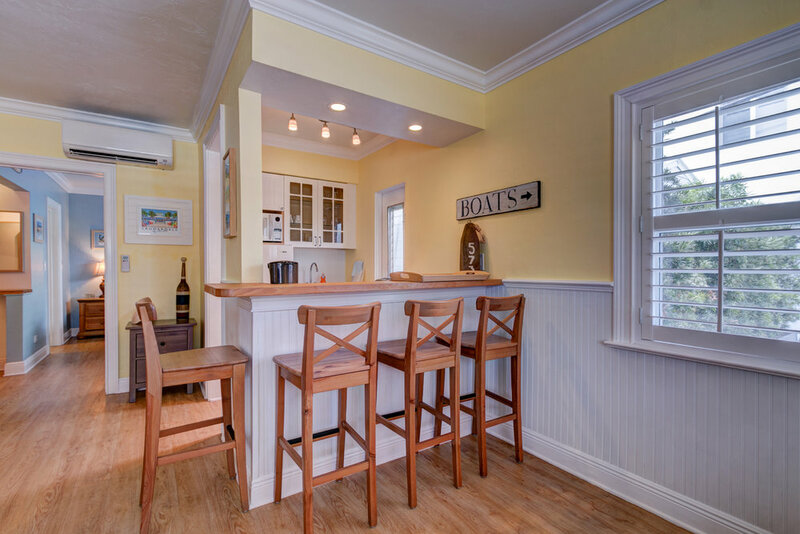 There is a full bathroom, full kitchen with a breakfast bar and small table for eating. The bedroom has a queen bed and closes off from the rest of the unit for privacy. There is also an outdoor patio area with furniture for relaxation.